DVD Arms markets. Issue archives 2006-2008. Part II. A Russian unique monthly research and information journal dedicated to international defense market analysis. 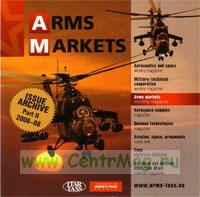 Analytics and news of arms industry in Russia and abroad. Rearming programs. Published from 2001.